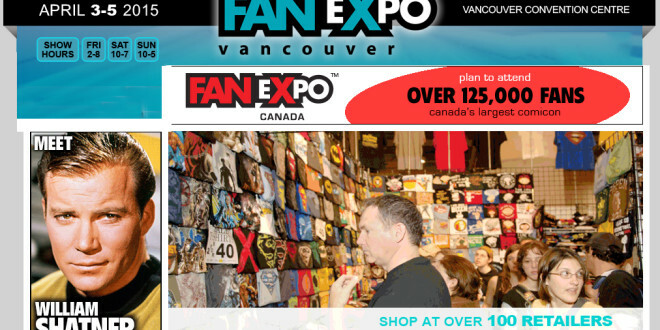 Fan Expo Vancouver 2015 highlights celebrities, shopping, panels and workshops, is the place to be to find the newest and hottest in Anime, Manga, Comics, Sci-Fi, Television and Film Actors, Authors, Artists, Cosplayers, Gaming and Horror. 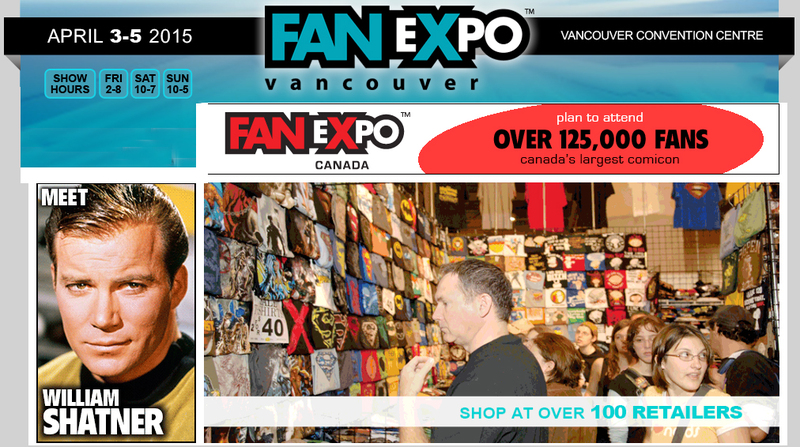 April 3-5, 2015, come out and meet your favourite celebrity or creator and shop for the hottest or most rare in comic books, graphic novels, manga, toys, t-shirts and more! Celebrity Guests include : Jennifer Morrison (Once Upon A Time), Carrie Fisher (Star Wars), Chad Coleman (The Walking Dead), William Shatner (Star Trek), Stephen Amell (Arrow), John Barrowman (Doctor Who), Brent Spiner (Star Trek), Shannen Doherty (Charmed), Lance Henriksen (Aliens).